"When occurs to you when you see shredded, bright coloured tobacco, which still seems to live between your fingers...? Recognize the mixture? 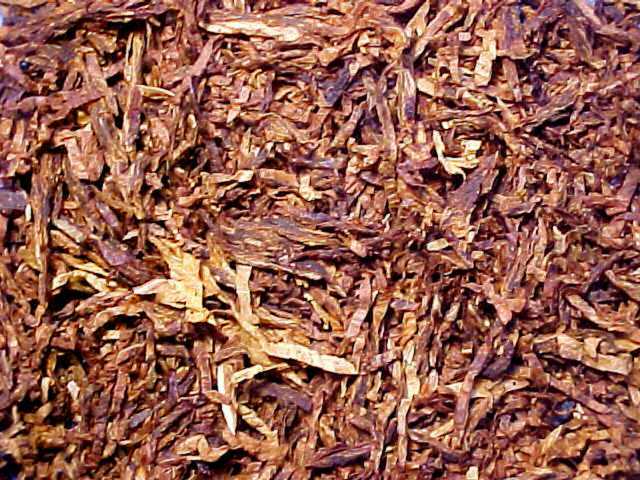 Burley, Kentucky, Oriental and Virginia, all first-grade tobaccos. Smell the whiff of pure fruit blossom we've added? 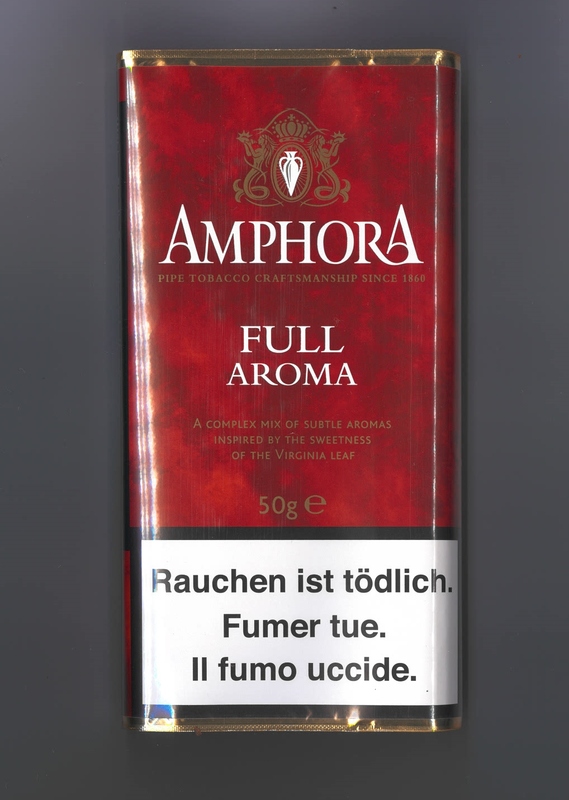 This enhanced smoking pleasure is due to our unique Cavendish process, which reveals the richest properties of this special blend: fresh, sweet and slow-burning. Amphora Full Aroma. The quality of over two centuries of craftsmanship and experience." No one can deny the fact that this tobacco has been one of the most popular tobaccos of its kind and that it is still highly sought after. It's one of very few industrial, flavored tobaccos that I don't mind smoking smoking occasionally; I actually enjoy smoking it when I do. The pouch aroma is pleasant but not indicate of heavy casing; I do detect a smell of vanilla besides the fruit essences used. It's very easy to pack and burns very smoothly. The taste when smoked is both sweet and spicy; however, it smokes a bit wet, unless you let it dry out a bit before packing. Like most flavored tobaccos, the taste seems to deteriorates the closer you get to the end of the smoke. The pouch seems to be very effective in keeping the tobacco in good condition even if you smoke only one bowlful a day (and maybe less).